“Call the Midwife,” the critically acclaimed British series about a group of nurses who administer health care during the early days of the National Health Service (NHS) has just completed its seventh season. As the seventh season begins, its first regular black character is introduced to the series. 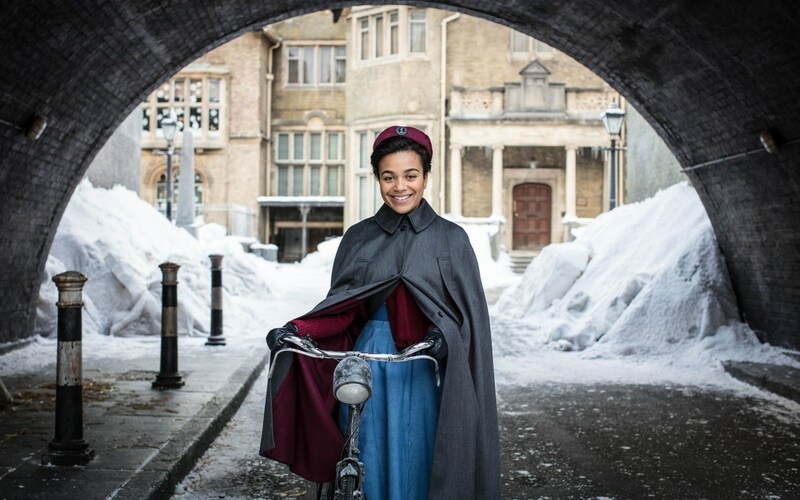 She’s Lucille Anderson (played by Leonie Elliott), a recently qualified nurse originally from Mandeville, Jamaica. “Call the Midwife,” the critically acclaimed British series about a group of nurses who administer health care during the early days of the National Health Service (NHS) has just completed its seventh season. As the seventh season begins, its first regular black character is introduced to the series. She’s Lucille Anderson (played by Leonie Elliott), a recently qualified nurse originally from Mandeville, Jamaica. It’s 1963 and in keeping with what was actually happening at the time, the NHS was encouraging more women from the Caribbean to join the nursing profession. Trained as a nurse at Taunton, Somerset, Nurse Anderson applied for several jobs in London, but chose Nonnatus House because it came with free housing – a rarity for district nurses – and also because of her religious faith. While generally accepted by her East End patients, she is often the subject of curiosity. This curiosity can sometimes manifest itself in the form of racism and hostility. “Call the Midwife” is a BBC series which airs on PBS in the United States. The current season as well as the six previous seasons are currently available for streaming on Netflix.